Are you on the fence about whether to take advantage of the early-bird discount for Xerocon Melbourne? Waiting would be a mistake for any accountant or bookkeeper looking to grow their business, says Heather Smith, a chartered accountant, consultant and bestselling author of Xero for Dummies. “Attending Xerocon massively increases referral work and my bottom line every year,” says Heather. She has attended four Xerocons and is aiming for her fifth on 13-14 September in Melbourne. At a past Xerocon, a chance conversation yielded Heather 70 new clients. An app provider lamented that many of his outside customers still hadn’t converted to Xero, and he wished they would move away from managing their accounts in Excel. Heather recognised that as an opportunity, and she followed up. There’s never been a better time to commit, because Xerocon Melbourne tickets purchased by June 30 aren’t just 20 percent off. They’re also tax deductible this financial year for small businesses. “Few accounting or bookkeeping practices have the capacity to do everything well and offer all services,” says Smith. But the people who do have that expertise collectively will be at Xerocon. Say you’re working with clients in health care, and they want help with automation in accounting. You could arrange to meet Marcus Wilson from Surgical Partners, says Heather. If your customers are in hospitality and retail, you could reach out to Jeffrey Atizado of CloudIntegration.Partners. And for for practices with e-commerce entrepreneurs as clients, Heather notes that Tracey Newman of CloudCounting is developing a niche in e-commerce. “Whether it’s over drinks, a shared Uber, a Melbourne coffee or a keynote session, you get the opportunity to discover how other accountants, bookkeepers, integrators, solution providers and developers can help you be your client’s hero,” says Heather. Xerocon also offers the chance to mingle with industry leaders. These include Sophie Hossack of Receipt Bank, and Phong Le of Expensify, and Darren Ford of field-service expert ServiceM8. 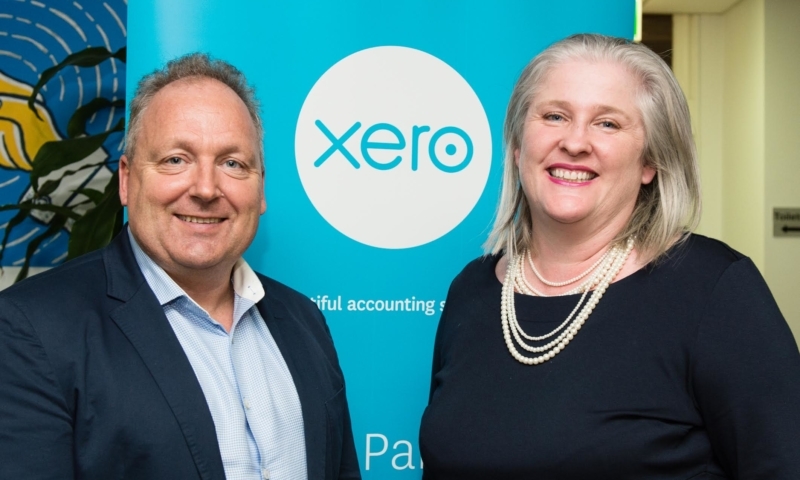 And no one should miss Xero founder and CEO Rod Drury. He will speak about about the latest in connected accounting, machine learning and artificial intelligence, and how they’re transforming our industry. Noted behavioural strategist Dr. Adam Fraser will be a draw this year, says Heather. As an author and consultant, Heather has almost 10,000 Twitter followers. She makes the most of Twitter to market her services and to network during Xerocon. Before the conference, she collates all the listed speaker’s Twitter handles in iA Writer. For example, @DrAdamFraser. This allows her to quickly attribute any quotes she tweets. Then she starts all tweets with the hashtag #Xerocon. Attendees will be able to click through here to see what others are tweeting during Xerocon, and you can follow Heather herself here. Every time she tweets, it triggers the platform If This Then That to send a copy of the tweet to a Google Sheets. This creates a recap of the highlights of the conference. Heather then reviews and repurposes them into blog content, newsletters, a LinkedIn post, or she or adds them to her social media library. Still on the fence about Xerocon? Here are four tips from Heather on how to build the conference into your budget. See you in September! Share accommodation: Share the cost of an apartment or share accommodation like AirBNB with other attendees. Share Uber fares: I recommend staying as close as possible to the venue. But, if you do need to travel, put it out there on social media using hashtag #Xerocon that you need to share a fare from ‘A’ to ‘B’. An opportunity to meet someone and save money! Walk: Save on travel costs. The weather will be perfect for walking. Even better, it will clear your mind and set you up for a great day! Set up a temporary office: Why not set up your office in one of Melbourne’s famous coffee shops? Or contact other members of the Xero community and see if you can work out of their office for a short time. If Andrew Van De Beek of illumin8 Partners can temporarily run his office from Sri Lanka on Xero, Melbourne should be a breeze. The post Think you can’t afford to attend Xerocon Melbourne? You can’t afford not to attend appeared first on Xero Blog.